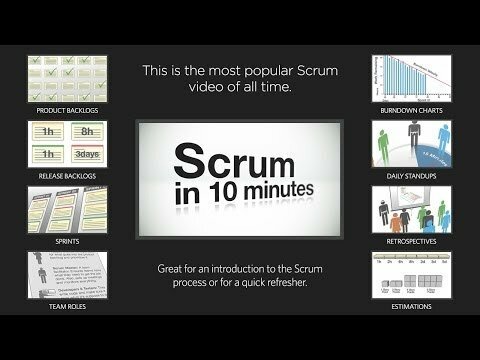 NEW Intro to Scrum in Under 10 Minutes - HD Video! Learn Scrum in under 10 minutes. This video is an introduction to the Scrum software development methodology. By the end of this fast-paced video, you'll practically be a scrum master. You'll know about burn down charts, team roles, product backlogs, sprints, daily scrums and more. You'll also be ready to start implementing Scrum in your own team.